Life is full of tough decisions. I never thought that "choosing which fitness tracker to buy" would be one of mine. It wasn't until I had already been working out and living an active life for about a year that I finally decided to invest in a fitness tracker. For some reason, I was set on the mentality of "I'll buy a fitness tracker when I'm fit!" #mickeylogic Reflecting on it now, it would have been incredibly helpful then to see actual stats on my workout and even more helpful now to be able to compare those past stats to current ones. Lessons learned. A fitness tracker is an investment. Not only financially, but also an investment towards you understanding how your body is performing over time. Also, many trackers nowadays have integrated rewards, workouts, social network connections, and many other perks that can supplement your active living and make you feel like you're truly living the #fitlife. Now, let's get down to the nitty gritty. It's time to review (in my opinion) the top 3 contenders for the best fitness tracker! I teamed up with @lumoidwear (lumoid.com) and rented the Apple Watch and Fitbit Blaze for 2 weeks. I already owned and loved the Polar a360, but lately it's been a bit buggy, and I was looking forward to being able to compare my beloved Polar a360 with its competitors. Activity Guide: Shows how active you've been during the day, and offers practical guidance on how to reach your daily activity goal. Heart Rate Based Training: Shows your current heart rate and what heart rate zone you're in. Sport Profiles: Choose from over a hundred different sport profiles for your training sessions, and get sport-specific reports and feedback. PRO: I love the feel of the band. It feels like a smooth, matte plastic, and the band itself is very comfortable. CON: While the band fits well, the actual piece of tech tends to pop up unexpectedly. It's never fully popped out for me, but it has scared me a few times. PRO: Taking the tracker on and off is relatively easy when you get the hang of it. I actually love the feel of snapping the clasp to the band. CON: Because the band closure is prong based, the band can unclasp if the end of the band gets caught on something. This has happened to me a few times during certain workouts. PRO: There's not too many menus to cycle through. It's very straight forward. You can either look at your stats for the day or start a new activity log. Nice and simple. CON: Aesthetically, I'm not a fan of the app. It just doesn't invite me to use it. I've tried to use its features once or twice and got turned off from the design. But that could just be me being a designer hahah. Notifications! Pair it up with your phone and receive your phone notifications on your wrist. BATTERY LIFE! The longest I've gone without charging my Polar a360 was SIX DAYS! WITH ACTIVITY! It was insane. IF YOU'RE A RUNNER: GPS is unfortunately not included. Apparently there's an add-on for that. Since I don't run much anymore, this wasn't a concern, but it's definitely worth noting. This watch will always be my favorite fitness tracker. It's simple. It has everything I need, and not any more fluff around it. (Even if it does have unnecessary features for me, I can deactivate it and choose not to use it.) Also, soooooo pretty. It's so photogenic hahah. And yes, this is a huge priority for me. However, the app leaves so much to be desired. Generally, the tracker has worked perfectly for me. It wasn't until recently that the Polar a360 wasn't picking up my heart rate... I think it must be software related. I can't speak with too much certainty on this, but I'm doing my best to get to the bottom of it. My first activity tracker ever was the OG Fitbit Flex. It worked perfectly fine. Tracked my steps. Recorded my sleep patterns. Stayed snug on my wrist. The one thing it couldn't do? Tell time. In frustration I snubbed Fitbit for about 2 years, until they came out with a product that I just couldn't ignore. 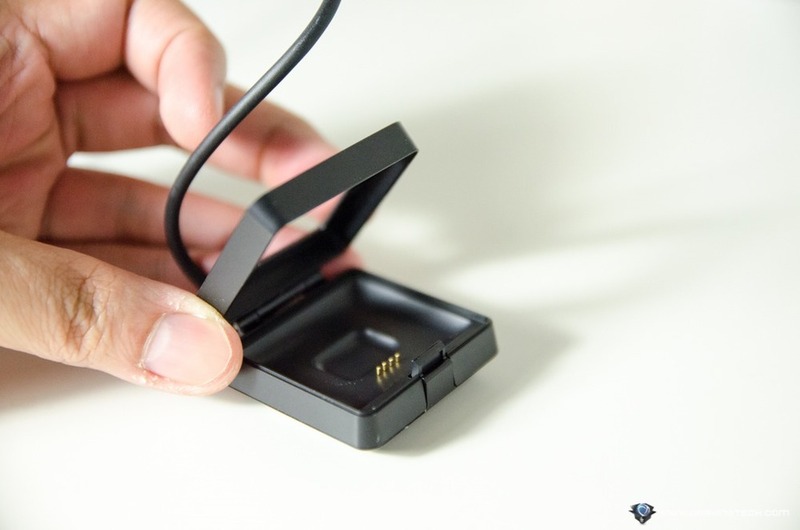 Lo and behold, they released the Fitbit Blaze earlier this year. 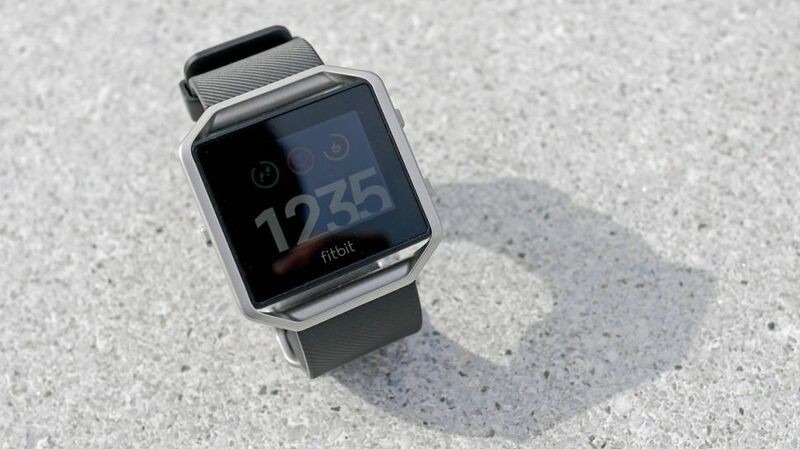 PRO: The Fitbit Blaze closure is like a typical watch: hooked on. Absolutely not coming off on accident. They also make sure that the tail end of the watch strap won't fly around, so you still achieve that flush band wrap around your wrist. CON: I'm not a fan of the base strap provided. It feels a little stiff and it didn't leave a good first impression on me. I haven't tried any of the other bands that you can buy to customize the style of the tracker, so maybe there's a more comfortable one out there! 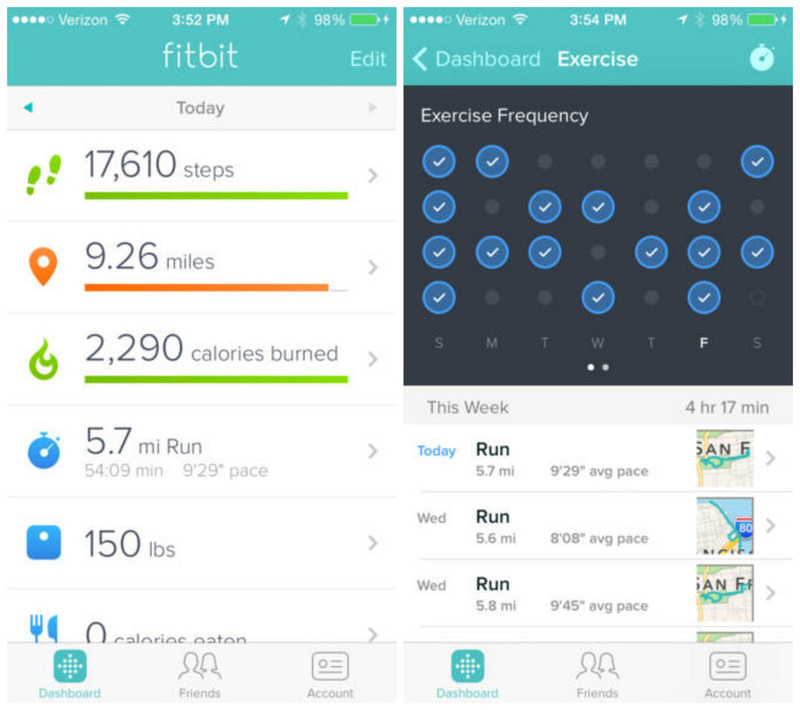 PRO: IMHO the Fitbit app is the most well designed fitness tracking app, ever. Love everything about it. It's so easy to navigate through, it's so pretty, it's got great micro animations, and everything you need to see is easily accessible. Did I mention how pretty it is? CON: Strangely enough, the touch screen function on the watch face wasn't jiving with me. It wouldn't follow my finger swipes or taps as smoothly as I'd expect. I'd have to do the motions a few times before it would recognize the action. BATTERY LIFE! This thing can also live for forever. I don't wear it at night when I sleep, so that probably saves battery, but I still didn't have to charge my Fitbit Blaze for about 5 days, all of which I worked out on. GPS! Track your runs and where you go! Which is a beautiful, beautiful thing. I loved this feature during my running days because I love seeing the little map filled up with the crazy shape formed from the random directions I ran. PERSONALIZE! Style it to your liking! Fitbit offers many other options for the band and the frame which I totally appreciate. Sleep tracking! I love the sleep tracking feature. It's amazing how much I toss and turn at night! Connected to social networks! This is a handy feature if you wanna stay motivated with your fellow fit friends! If this watch came out before I bought the Polar a360, I would've bought it. It's everything you need for times of fitness, times of hustle, and times of snoozing. It's accurate, easy-to-use, and not too shabby looking. I'm about 60% sold on the design, but the rest of the features reign supreme. To be honest, I don't think it's really necessary for me to compare the Apple Watch Sport to these other two fitness trackers. The Apple Watch is beautifully designed, naturally, and has so many amazing features that will assist you throughout the day. There's apps for tracking fitness, and it'll track your steps and basic runs or cycling sessions, but I wouldn't recommend it for someone who wants to truly track their progress. Also, battery life? Forget it. It drains in 12 hours if you're using it consistently throughout the day. BUT, it's so fun to use and it's a luxury I didn't know I needed until I had it. In all honesty, I want to get one. I enjoy switching back and forth from the Polar to the Apple watch as I go from work out to work. But hey, the Fitbit could probably just be the end-all answer to all of this. These are just my quick thoughts! There's soooo much more that I didn't cover about these trackers. If you're truly considering either of these two trackers, I recommend reading reviews on Amazon. Everyone's pretty honest there.